The registration of a marriage is very important and the understanding its importance the government of Chandigarh had made the registration compulsory for all inhabitants. 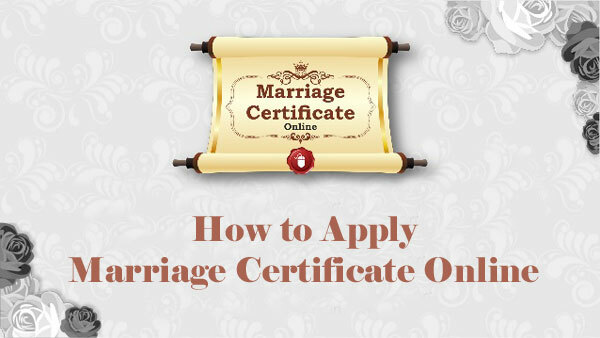 The major purpose that a marriage certificate suffices is that it gives self-confidence and social security to a married woman. The marriage here is registered under the Hindu marriage registration act of 1955 or the special marriage registration act of 1954. Only after the registration of the marriage, you can get a marriage registration certificate. The application process is mentioned below in detail for your help. Both bride and groom must be inhabitants of Chandigarh. The age of the bride must be 18 years and the age of the groom must be 21 years. If you are a new user, you have to register first. After the completion of the registration, log in to the website using the id and the password. Now, on the dashboard, you will find the option to apply for marriage registration. The application form will open on your screen. Fill it up with appropriate details an upload scanned copies of all required documents before submission. Now, click on the submit button and then book your appointment by clicking the Get Appointment button. Print the appointment slip and visit the registrar office on the date with all original documents for verification and completing the registration. You can track the status of the application by clicking http://chdservices.gov.in/frmCurrentApplicationStatus.aspx and you can also download it from the link http://chdservices.gov.in/frmVerify.aspx. Download the application form by clicking the link https://www.indiafilings.com/learn/wp-content/uploads/2018/09/Hindu-Marriage-Act-CHD.pdf. Fill it up, attach all required documents and submit it to the registrar office to book the appointment. Visit there at the fixed date with original documents to complete the registration and verification. Two Passport Sized Joint photographs of both bride and groom. Photograph and identity proofs of witnesses. Statement of bride and grooms parents. If it is registered after 30 days, the fee is Rs. 10. For per copy of the marriage certificate, you have to pay Rs. 2.